which club is good for you? One monthly theme package. Each month we will send a note with info on the artist and the items. It will include a surprise combination of 2-3 items. They can be a combination of: Custom iron-on patches ranging 2"-4" Custom iron-on patches with luxury metallic or glow-in-the-dark thread. Jumbo custom patches 5"-7" Custom metal pins 1"-2" (some hard/soft enamel) Custom all weather stickers, safe for cars and outdoor use. 2"-4" Custom full color 1" round buttons or more! Cost is 12.50$ plus S&H Automatically renews on the last day of the month. Ordering for the current month cuts off on the 16th of each month. This is a minimalist subscription. It comes with 1 pin. This is a monthly subscription for a Star Wars inspired pin. Each month will be a different design. These pins will be made in various colors and materials. You can check our web store for more photos of Star Wars pins that we’ve made. Each pin will be designed specifically for this club. If you subscribe, you get the club rate of $6 a pin. But they will retail afterwards for $9-11 each. Any pin over 1” will have two posts. 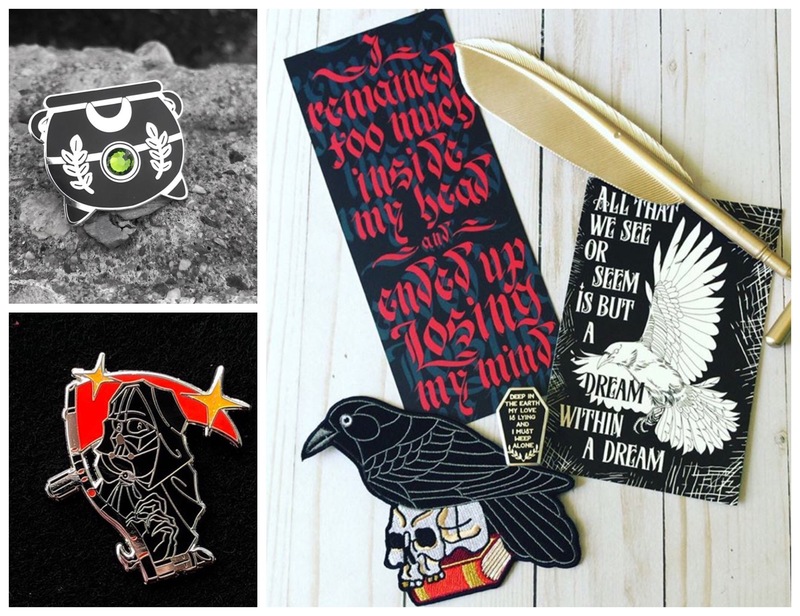 Here are some of our Lapels and Spells, witchy pins. 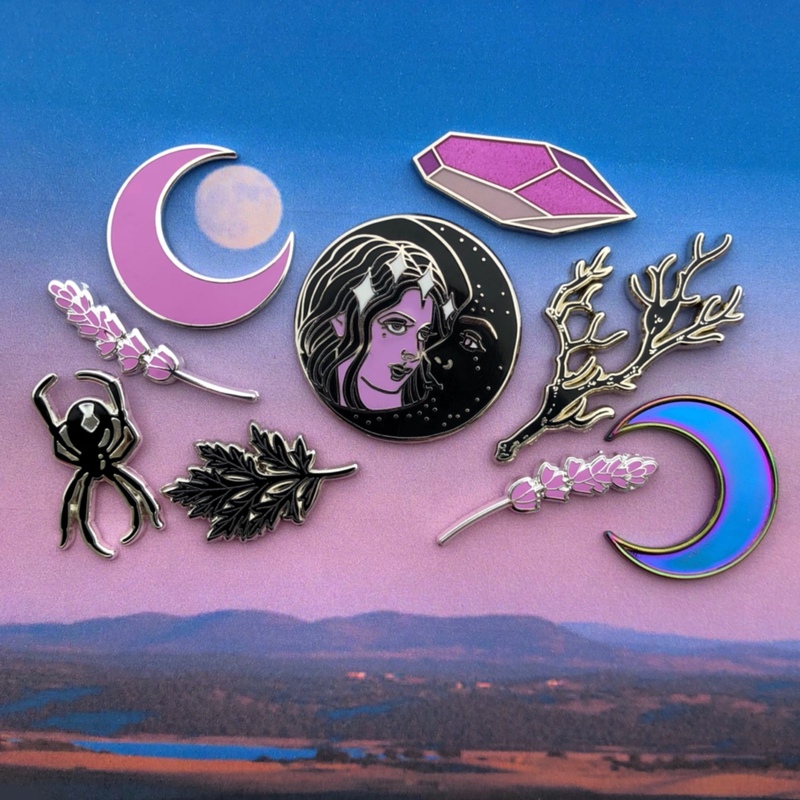 Magical pins like theshe will be in the monthly Lapels and Spells club package. 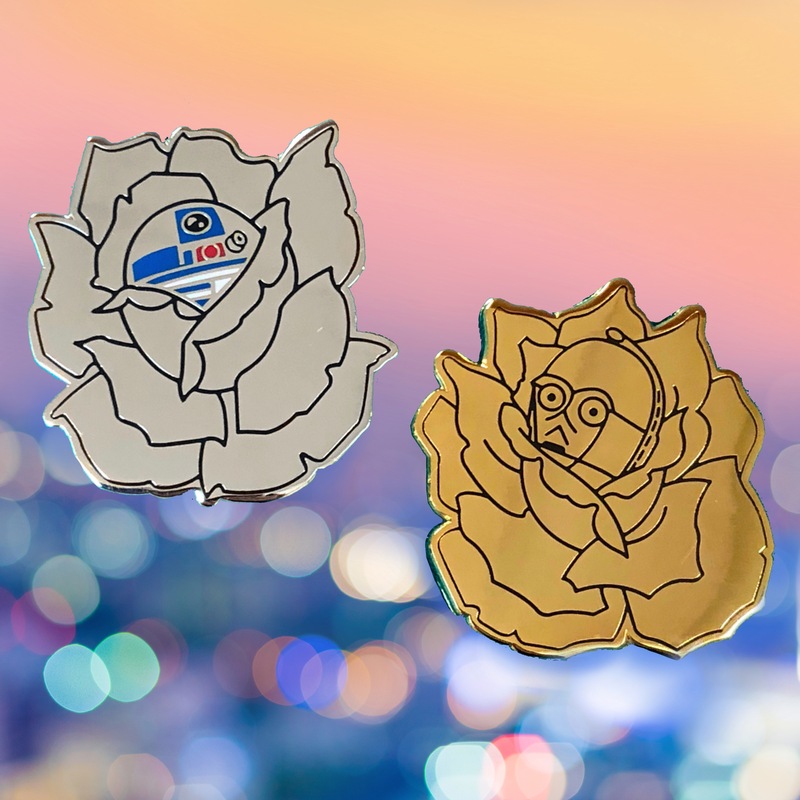 Pins will be designed by various artists. Here is one of the Laserbrain monthly club packages. This one was classic video games. 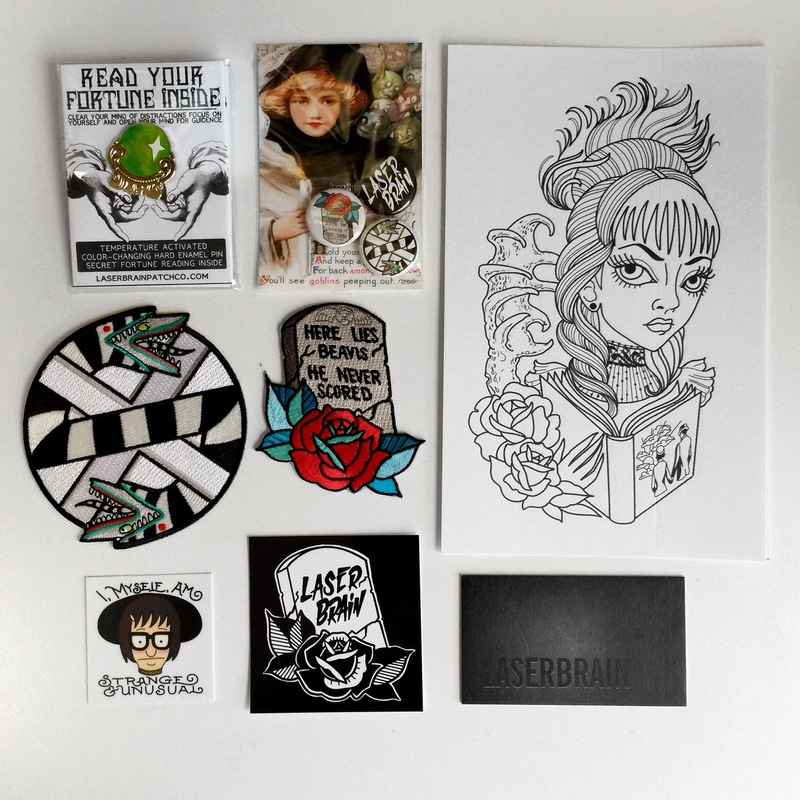 This is a Laserbrain Club Package. It’s theme was Creep It Real. It came with a hard enamel pin, an iron on patch, an embroidered winter beanie, a coloring postcard, and two beetlejuice stickers.